Camilla Läckberg is the Swedish author of six novels. Formerly an economist her first novel The Ice Princess won theInternational Grand Prix de Litterature Policiere in 2008. She has also been awarded the People’s Literature Award in 2006 and SKTF Prize for Author of the Year (Swedish Writer of the year) in 2005. Her books have sold over 1.5 million copies. She joins the ever-increasing circle of Scandinavian authors whose works are being translated into English. Ayo: For those who do not know much about you could you please give us a bit of background information? Camilla: I was born in Fjällbacka in 1974. I have always dreamed about becoming a writer, but thought that it wasn’t possible, so I went to business university instead. Ayo: Have you always wanted to write? Camilla: In 1999 I was given the greatest Christmas gift ever – a course in writing – and the course was called How to write crime. So I started writing my first book The Ice Princess during that course. 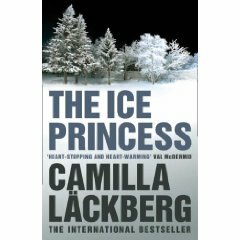 Camilla: I have always hade a passion for crime fiction. There’s something with the darkness in human nature that appeals to me. And I actually wrote my very first book as a four year-old (I drew pictures and made my father write the text for me.) And the book was about Santa and his wife. It starts very nicely; Santa and his wife are smiling happily, holding hands then four pages later things have gone very wrong and Santa’s wife is lying on the ground, beaten to death, with blood flowing from her beneath her Santa hat. 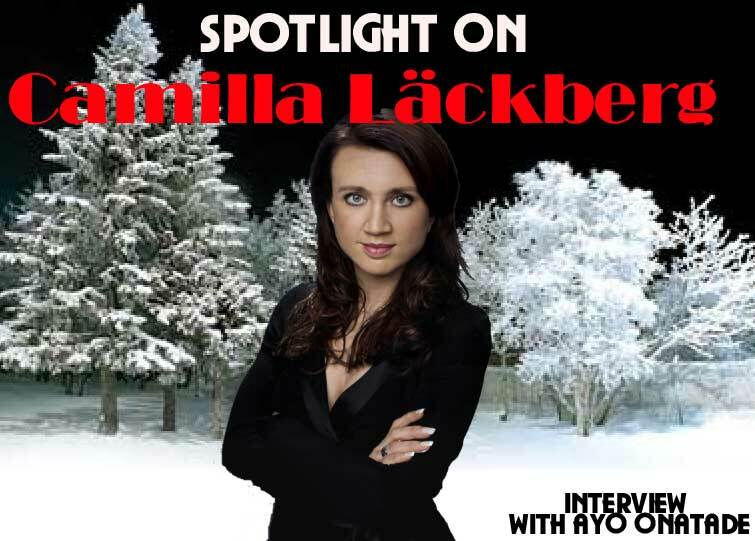 Ayo: Why do you feel that Scandinavian crime fiction has become so popular and is now being translated so widely? 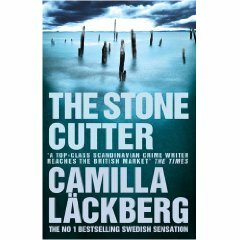 Camilla: We have a proud tradition of crime writing which has raised the quality to a very high level. My personal theory is that it started with Sjöwall & Wahlöö’s books and that they set the bar really high. Ayo: Your first novel, The Ice Princess introduced amongst others the characters Detective Patrik Hedström, author Erica Falck and Police Chief Bertil Mellberg had you intended to write a series? Camilla: I love reading series myself and to be able to follow how the main characters evolve through the books – one of my favourites is Elizabeth George’s books where you can follow what happens to Lord Linley, Lady Helen, and Barbara Havers. So yes, I knew that I wanted a series to develop my characters. Ayo: Can you tell us a bit about the characters that you created? Are they based on people that you know? Camilla: Erica wasn’t supposed to be based on me, but it has kind of turned out that way, even though we’re not identical. And Patrik is actually based on my ex-husband. And since that is widely known in Sweden, I got a lot of worried e-mails from readers when my divorce became known, because they were worried that Erica and Patrik would be divorced as well. Camilla: I usually get a character quite instantly in my head, so they’re always quite clear to me from the get go. Camilla: I can’t grade between them. I think a good plot is a minimum requirement, but what makes a book really take off are great characters. Ayo: The Ice Princess was the Silver Pocket Winner at Guldpocketgalan in 2005, which is a prestigious annual Swedish book award ceremony. Were you surprised at the win? Camilla: Yes I was very much. The Ice Princess kind of sky rocketed to success, and I had not dared hoping for anything near that. Ayo: There is always a great sense of place in your books, they are very atmospheric and you appear to have turned your attention specifically on the community that you have created and its secrets. Was this intentional? Camilla: On the writing course that got me started, we got the advice to write about what we knew best – and there’s no place I know as well as Fjällbacka, where I grew up. Ayo: The series is set in Fjällbacka, has the success of your books had an effect on the way in which you know look at your hometown? What about yourself? Camilla: I am very proud of the way my hometown have embraced the books – they are even doing guided tours in Fjällbacka now about the books! And I love being able to write about my hometown, but I don’t think I could have written about Fjällbacka if I still lived there – I need the perspective of living somewhere else. Ayo: In the Ice Princess and again in The Preacher, evil and death are an essential part of the story. Are they subjects that you are particularly interested in? Camilla: Yes I am very interested in the dynamics of evil and what evil is. Is it something we are born with or something that we learn as we grow up? Ayo: What was the impetus for the story in The Preacher? Camilla: I have always been very interested in religion, and how through history it has been used for both good and bad purposes. I wanted to write about when religion is intended for good – but ends up being evil. Ayo: Preacher was nominated in the category; “Best Swedish Crime Novel 2004” by the Swedish Crime Novel Academy. Do you feel being nominated for awards increases the pressure on you when it comes to your writing? Camilla: Maybe I’m naive but I don’t think about prizes or sale figures when I write – or about the literary critics for that matter. I write only for one reader: myself, and always try to write the best I can. Ayo: Your third book The Stonecutter was also nominated for Best Swedish Crime Novel in 2005 and you also won the award for Swedish novelist of the year as well. Camilla: Yes I am very fortunate that the Swedish readers early on fell in love with my books. They have showed that love through awards like the ones you mention. I am deeply grateful for that. Ayo: Both the earlier novels have been made into movies for television TV-series, produced by the Swedish Television and I understand that The Stonecutter is in post-production. Were you satisfied by the way in which they were made? Did they capture the essence of your stories? Camilla: Swedish television is extremely good at these kind of dramatizations and also have a lot of experience in the field. So I think they did a great job, and for example the actors they chose were absolutely perfect! Ayo: It has been said that the crimes in the best of Scandinavian crime fiction, by and large, tend to focus more on the effect of crime on communities than on gory, sensationalist murders and the thrill of the chase. Do you agree that this is the case? Camilla: Yes, the gore isn’t what’s interesting – it’s more interesting with the effect murder has on individuals and the community. Ayo: How would you describe your books to someone who is about to read them for the first time? Camilla: I write in the tradition of “a nice little murder.” It’s quite traditional in many ways since I love the classic way of writing crime stories. But I focus a lot on the characters and the psychology of the people involved. And what has been the greatest success factor of my books is that I tell a story of ordinary people, - caught up in an extraordinary situation. Camilla: My first love for crime stories started with Agatha Christie. I believe she is the true queen of crime stories. And after that I have always had a bit of extra love for the English crime storytellers – Val McDermid, Peter Robinson, Reginald hill, etc. Ayo: Were you a big reader of crime fiction before you started writing and if so can you remember the very first crime novel you read? Camilla: I started reading crime stories very, very early and as I said, Agatha Christie was a favourite. And I think “Death on the Nile” was the first book I read by her. Ayo: Is there a crime novel that you wish that you had written? Camilla: Yes, I do wish I had written The Secret History by Donna Tartt. I think it’s marvellous. Ayo: Do you still find time to read? Camilla: Since I had the kids I don’t have as much time to spend reading, but I would still say I read more than the average person. Reading to me is like breathing – I can’t live without it. Ayo: What’s your work schedule normally like? Camilla: I drive my children to school and kindergarten around nine. Then I come home, have breakfast, and start writing around ten. I write, only with break for lunch, until four, when I pick up the kids again. Camilla: Reading, cooking, meeting friends and watching movies. Camilla: Discipline. I am not a very disciplined person and I always struggle with that. Ayo: Do you miss the world of economics and have you managed to bring any of your experience as an economist to your fiction writing? Camilla: I don’t miss it a bit but I still am very grateful for my education and work experience within economics, because it’s been of a lot of use for me in my career as a writer as well. Ayo: Would you consider writing a non-series novel? Camilla: Maybe in the future, but I only plan one book ahead at a time. Ayo: I understand that you have had a cookbook published called Flavours from Fjällbacka. What made you decide to do this as it is a bit of a departure from writing crime fiction? Camilla: I love cooking, and since I have a friend from Fjällbacka who is also one of Sweden’s best chefs – we thought it would be wonderful to do a cookbook together, set in Fjällbacka. Ayo: What are you working on at the moment? Camilla: I’m writing my seventh book in the series about Erica and Patrik.